Next Session 24th March 2019 Bookings open 1st March. For Explorers, Scouts, network and Adult Leaders. 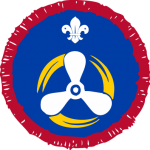 Scouts will earn Scout Power Coxswain Activity Badge.